XRP enters the top 3 cryptocurrencies with the biggest market capitalization and is second only to Bitcoin and Ethereum. It is not crypto in the usual sense, yet it has a number of features and nuances. Creators using blockchain technology offer the world a bold and unusual solution in the financial world. The rate of the coin rose throughout the year and at the beginning of 2018, it reached a record value of USD 3.00. Such success could not go unnoticed, which made XRP one of the most interesting assets for investments. The subsequent price reduction made adjustments to the plans of investors, who thought about the relevance of such actions. What to expect from cryptocurrency in the future? What is the XRP forecast for 2019? Is investing in XRP a good idea? These and other questions will be light up below. The history of XRP dates back to the year 2004 when Canadian programmer Ryan Fugger began working on the Ripplepay payment system, launching its first version in 2005. The company gradually developed and in 2011 the creators of XRP decided to create a decentralized network, in which there would be no mining, while the speed of the entire network would be much greater than that of the same Bitcoin. In 2013, it was renamed in Ripple Labs and this business was smoothly developing, and very soon, record-breaking successes were achieved. In 2016, the company received more than $ 55 million in investments. Investors of the company were greatly reputable organizations, including Google. Cooperation of Ripple Asia with SBI Holdings opened the way for them to the largest Asian markets of China, Taiwan, Japan, Korea and other countries. Ripple allows you to make almost instant transactions between banks connected to the Ripple system with a minimum transaction cost. The average time is 4 seconds. Also, XRP has its own global network – RippleNet. It is designed to provide more convenient work for its users. Its basis is the presence of a single registry, within which separate transactions that are independent of each other are verified and confirmed by the server. Any person has the opportunity to launch such a network. During its existence, the company has concluded dozens of contracts with banks and companies, and XRP coins have been added to the listing of many crypto exchanges. Investors talked about the effectiveness of long-term investments for Ripple, whose capitalization jumped from 236 million to 85 billion dollars in just one year, and the exchange price increased from 0.006 dollars for its peak to 3.75 USD for 1 XRP (January, 2018). You can find more info on how to buy XRP here. 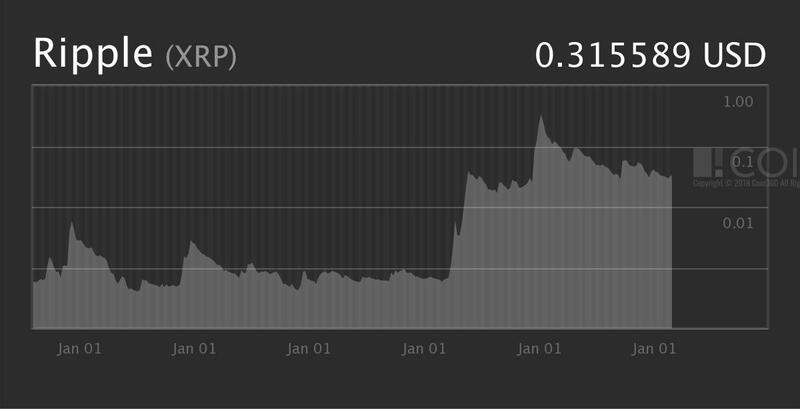 For the most part of 2018, the XRP price chart has been demonstrating a descending trend. In addition to the usual collapse of the market for cryptoeconomics, which inevitably follows a sharp rise, there are many factors that contribute to raising the XRP price. Ripple has a unique concept, thanks to which they managed to achieve higher transaction output. Most likely in the coming years, an increasing number of banks and even consortia of banks will enter into agreements with XRP and introduce this technology, which makes very optimistic forecasts for further fundamental growth in the price and capitalization of the coin. You can always check out the current price of XRP and exchange it at the best rate here. This project occupies a completely unique place on the market, since it is not a classic cryptocurrency on the blockchain, despite its decentralization. Moreover, the team actively cooperates with various banks and financial enterprises. At the end of January 2019, the rapid growth of the XRP began, which was caused by the news of the partnership of the international banking payment network SWIFT with the blockchain consortium R3, which had previously integrated XRP cryptocurrency as an asset to the Corda platform. Also at the end of 2018, the list of XRP followers was added to the Royal Bank of Canada and the largest bank in Saudi Arabia. The executive director and co-founder Ripple Chris Larsen said that his company currently has over 100 active contracts for the use of its payment services. All these news pave the company a positive outlook for further growth and consolidation on the crypto market. Also, most experts give a positive outlook for XRP in 2019. Most likely, by the end of 2019 the coin will cost at least $ 3 – 3.5, the volatility will be 15-30%. And the guarantee of success, in their opinion, will be the position of the merchant corporations and financial institutions interested in its high scalability. This is a unique cryptocurrency, which has enormous potential for the modernization of banking services – which big business desperately needs. Giant companies are not interested in talks about decentralization and blockchains, they need ready-made solutions. And this is exactly what Ripple gives: a simple mechanism for instant payments, since in the modern world time is the most valuable asset. Presumably, by 2020 year, the company will find a way to attract even more banks to the system. XRP will begin to be used everywhere, experts say. Increased attention to the coin will sometimes bring its value to several tens of dollars. If you are thinking about investing in XRP project, then this is probably a good way to make a profit when it comes to long-term investment for several years. But if you did not plan to wait so long and would like to make a profit in a few months, then such an investment can make a profit during the next whole year, due to the predict a rise in prices in 2019 and 2020.